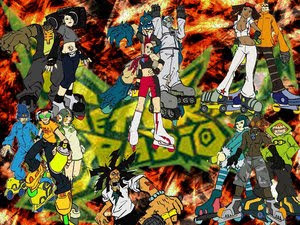 Jet Set Radio may be coming to XBLA & PSN! Jet Set Radio was a great Dreamcast game which fun gameplay to accompany a great soundtrack, and SEGA has announced (or just teased) via a video that the game may be coming to XBLA and PSN sometime in the future. I hope its true and that it will come sooner rather than later because I really enjoy this series of skating games. Look for more details soon and hopefully Shenmue will be the next Dreamcast game to be a downloadable title!